The Dutch Resistance man "Paul Simons"
* Het verborgen front, (The Hidden Front) History of the organised resistance against nazi occupation in the Dutch province Limburg during World War II. Excerpt in English. 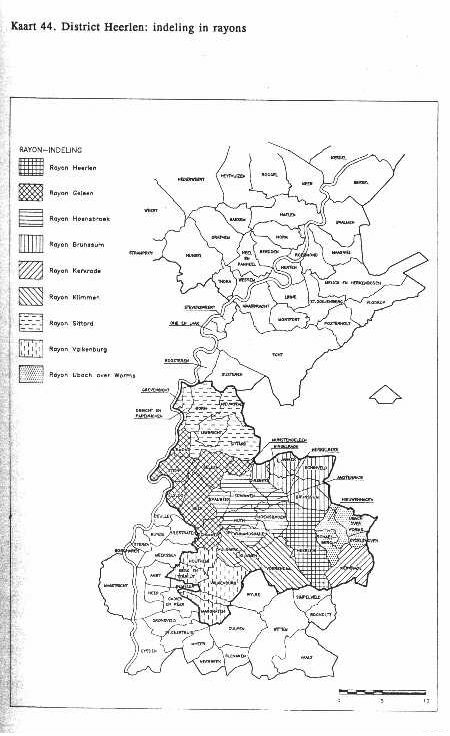 History of the organized resistance in the Dutch province of Limburg during WW2. A satisfactory account of the history of the organized resistance in the province of Limburg will not be found by exclusively following the relevant events and developments in the years of the German occupation. As early as in the nineteenthirties foundations were laid which may serve as a partial explanation for a partisan attitude after the events of May 1940. In their establishment the Catholic Church played an important part, for it was this church community which most of all regarded the threat of right-wing radicalism as a matter not to be underestimated, and which was the first to take up arms by launching a fierce social counter-attack. Perhaps that seems remarkable. Was the success of the national socialist movement (N.S.B.) in the leading catholic Limburg, like it has been suggested several times, part of the sympathy living in catholic circles for corporatism related to Fascism? The answer is negative. Although right-wing radical trends took over the corporative strategy of conflict avoidance, argued by the catholic church, in an authoritarian way modified form and thus compromised the original philosophy, they took advantage from the global economic crisis and the impact of it. In this the N.S.B., certainly initially regarded to be moderate, succeeded best. Who voted for the N.S.B., generally did not do so on the basis of a political opinion, rather than on on the basis of dissatisfaction, fear and protest against the coalition parties which did not appear to be able as yet to give a sufficient answer on the expanding crisis. In this matter, corporatism played a neglectable role. To take the wind from the sails of the right-wing radicalism that gained popularity and to pacify the voters, it first of all was important to fight the worst impact of the economic crisis, a task which rested mainly on the shoulders of the government and of businesses. The catholic church on the other hand, with support of many catholic social organisations, emphasized the fighting of right-wing radicalism, particularly the N.S.B., which gained a striking electoral triumph in 1935. Headed by Bishop J.H.G. Lemmens of Roermond and leading, socially committed clergymen such as H.A. Poels and J. Jacobs, a fundamental counterattack sparked off in the mid-nineteenthirties, which in the South of the province, where the N.S.B. (National Socialist Movement) found its largest support, was fought at daggers drawn. Ethical, moral and faith-based principles were brought into position against the objectives and practice of national socialism. By exerting its influence and exercising its authority on all social levels the Catholic Church succeeded in stigmatizing the N.S.B. and to to force it on the defensive. Supporters of the party had good reason to fear for their jobs, some even found themselves facing a social boycott. The Roman Catholic counteroffensive intensified and clarified the social process of polarization strengthened by the advancement of the right-wing radicalism. An "evil" sector of society was made identifiable, the contrast between good and evil, so dominant in the war years, would take a part of its vitality from it. Although anti-national socialist sentiment was undeniably widespread in Limburg, the church-stimulated militancy did not reveal itself immediately after the German invasion. It took some time yet before there would be a Catholic-inspired resistance of any structure. This is connected with the tactics followed by the occupying forces, which were aimed at gently winning the populace over to national socialism. The Church and its social organizations were functioning normally and the effects of war and occupation remained limited. Nevertheless, in the South of the province three military-civilian underground units grew up in the course of 1940 and 1941. They were based on a shared feeling of discomfort in response to the defeat of May 1940. Dozens of their members considered it their duty to shake up the population by editing or distributing papers or pamphlets through the underground network or by frustrating the enemy wherever possible. Due to a fateful combination of an unchecked drive for action and a lack of experience, the three cores of resistance were soon being caught hold of by the Sicherheitsdienst (German security police) and the Abwehr (German counterintelligence). As a result of infiltration and betrayal they were rounded up one by one between the end of 1941 and the fall of of 1942. Though their concrete contribution to the resistance against the occupying forces had only little impact, these early resistance formations were important for the further development of the underground movement. Owing to their pioneering function and because of the way they served as a model, these early underground units had significant consequences for the further development of the underground movement. Moreover, they brought many valuable connections in the province and beyond which their successors could build on. The first underground activity bearing to an important degree the stamp of the Catholic Church, or rather, the Catholic clergy, involved the aid to French-speaking prisoners of war who had escaped from Germany. Unlike their flemish comrades, who could return home soon after the Belgian capitulation, Hitler had ordered that all Walloon soldiers had to stay interned in Germany. The same applied to the French soldiers. They were housed in special camps or guarded buildings. During the day they had to any kind of work, and many were employed in agriculture. Some made use of the relative freedom to escape. Towards the end of 1940 the first of these fugitives appeared at the border between Limburg and Germany. That they appeared precisely in this area was a result of the location of the POW camps. Many a POW realized that the shortest and safest way home ran through occupied territory, i.e. through Limburg. There they had more chance to be helped by the local population than in Germany. They knocked at any farm or they went to a church, assuming the local priest would speak French and would not leave a member of the same religion to his fate. The phenomenon was encountered all over North- and Mid-Limburg in particular. In general there was a considerable willingness to help the ragged and hungry soldiers, but the question of how to organize this help was much more pressing. There had to be a lot of improvising. In the course of 1941 and 1942 however, an extensive communication network was successfully established. This system was actually comprised of numerous small, informal networks. They were not very highly organized. The main arteries ran along the west bank of the Meuse in North- and Mid-Limburg: lines of communication between the larger transit points such as Grubbenvorst, Baarlo and Horn. The regular locations where the border was crossed were situated between Stramproy and Roosteren at the Belgian border. Apart from the Achterhoek and Twente, inhabitants of other parts of the country did hardly or not at all get involved with these French-speaking fugitives, so that relief work remained an almost exclusively Limburg affair. Although this system was vulnerable, infiltration and betrayal were sporadic. The population was silent or helped indirectly. It was a form of resistance for which, because of the humanitarian aspect and the comparatively small risk to the local population, understanding or appreciation existed. The Walloons and French coming from the eastern Dutch provinces Gelderland and Overijssel repatriated initially through Noord-Brabant to Belgium and France, but in the course of 1942, new connections were established. Since then they mostly traveled southward through Limburg. This relief work reached its peak in 1943, but it was continued until the summer of 1944. Hunderte von Leuten wurden direkt involviert. Sie wussten, dass sie eine breite gesellschaftliche Unterstützung genossen. Insgesamt halfen sie ungefähr zwei tausend auf Kriegsgefangenen. Abgesehen von diesen Verdiensten, hatte Hilfe zwei wichtige Nebeneffekte. Durch zufällige Umstände wurde frühzeitig eine Widerstandspotenzial mobilisiert aus dem spontan, auf der Grundlage von Improvisation, zahlreiche Verbindungsnetzwerke entstanden. Zudem machten die Helfer die dringend benötigte Erfahrung in der illegalen Arbeit, deren Früchte nicht nur sie, sondern auch diejenigen, die sich später dem Widerstand anschlossen, ernten würden. The POW’s who received aid from hundreds of the people concerned came up to a total number of approximately two thousand. While the number of French-speaking POW’s was still rising, new groups of refugees, such as Jews, passengers to England, and crewmembers of downed bombers appealed to the various networks for help. For most of them the aid could not be limited to being guided across the Belgian border. The routes of escape had to be considerably extended up to Switzerland and Spain, or it was necessary to set up new routes. This was accomplished both on the relief workers’ own initiative, but chiefly with the aid of Belgian liaisons and refugee agencies. It has not been established how many Jews and passengers to England reached unoccupied territory by way of the Limburg and Belgian escape routes. Of the allied pilots we know that at least 345 tried to escape to Spain and England by way of Limburg. Most of them crossed the Belgian border close to Maastricht, where two specialized relief agencies were operating, or in the area between Stramproy and Roosteren, where the networks aiding Frenchspeaking POW’s were mostly used. Only 125 to 150 of the pilots succeeded in traversing the long overland route. The others nearly all fell into German hands. Not until the end of 1943, when the disastrous consequences and the aim of the “Englandspiel” were gradually being perceived, did things start to run more smoothly. An increasing number of bona fide radiographic communications with England were established and pilots had to answer detailed questionnaires before receiving aid. Also, after the allied invasion in Normandy in June 1944 it was no longer necessary for pilots to be sent on their way home along the extended lines of communication. Since then, they waited for liberation day at private homes or, as was the case in the North of France and the Ardennes, in special encampments. Apart from a few exceptions the Catholic Church (in Limburg) and the Limburg clergy played a less prominent part in the aid to Jews. This was probably not so much the result of a slumbering and moderate anti-semitism in Catholic circles as it was the result of a lack of necessary communications outside of the province and with the small Jewish community in Limburg itself. The earliest initiatives to extend a helping hand to the increasingly sorely tried Jews came from the Reformed community within and outside of Limburg. They established the communications which enabled a growing number of Jews to go into hiding in Limburg or by way of this province, to flee to safer places. Gradually an increasing number of Catholics became involved in the aid to Jews. This development received a strong impetus in the summer of 1943, owing to the fact that the provincial agency which specialized in providing places of hiding and which had then only recently been founded, made contact with the national agency (for aid to persons in hiding). Thanks to the ensuing communications many dozens, possibly hundreds of Jews could still be provided with accommodation in places scattered all over the province. What is striking moreover is that most of them found shelter in villages in the Peel and Meuse-valley on the west bank of the Meuse in North- and Mid-Limburg, the eastern mining district and in the region of Maastricht. The number of Jews from outside the province who were hiding in Limburg probably came to more than two thousand. Of the 1660 Limburg Jews approximately 30% succeeded in evading deportation by going into hiding in the neighbourhood, by fleeing to Belgium, where persecution policy was less rigorous, or by making use of an international route of escape. If we add the Jews from other parts of the country who tried to reach unoccupied territory or Belgium by way of Limburg, we arrive at a careful estimate of a general total of two and a half to three and a half thousand Jews aided in or by way of Limburg. Between a hundred and fifty and two hundred of them - between 4,29% and 8% - still fell into German hands. In no other field of the organized resistance was the driving force and the contribution of the Limburg clergy as evident as in the aid to those in need of a place to hide. The bishop’s attitude of fierce rejection with regard to national socialism did not undergo any change after May 1940 compared to their point of view taken in the nineteenthirties. In the course of 1942 and 1943, owing to the growing German pressure on the Dutch population, the bishop’s protests acquired a more general character. In the first five months of 1943 they reached their hight when students were being heavily pressurized to sign a pledge of loyalty, when whole age categories had to report for hard labour in Germany, and former military servicemen were confronted with the prospect of being taken back into captivity. The latter measure was the immediate cause for the onset of the April-May strike, which showed that the resistance of th Dutch was not broken at all. The measures mentioned above and the strike of April-May were the basic grounds for the foundation of the provincial agency for aid to persons in hiding in Limburg. Drs. J.L. Moonen, secretary to the Bishop of Roermond, took the view that the Catholic Church should no longer remain an impassive spectator and limit itself to issuing verbal and written protests. He was not the only one to take this view. Numerous, predominantly younger socially committed clergymen were well aware of the rising distress among the young people. In the spring and the early summer meetings were held in many places in North- and Mid-Limburg in which the question of how to give shape to the possibility of going into hiding was feverishly being deliberated by clergymen and young people who came chiefly from Catholic society life, now combined in the Catholic Movement (“Katholieke Actie”), and from the former Dutch Union (“Nederlandsche Unie”). An additional, but essential advantage was that many of them, through the aid to refugees, meanwhile had at their disposal the vitally essential communications and experience. For that reason a new, extensive relief system could be built up within the space of five months. The swift establishment of the Limburg agency for aid to persons in hiding and the relatively broad social basis for this kind of underground activity confirmed in particular that a Catholic-humanitarian inspired resistance went well together with the mentality of the Limburg population. The result of a natural combination of activities, particularly in North- and Mid-Limburg, was that the Limburg agency comprised virtually the whole range of Catholic-humanitarian underground activities (aid to POW’s, allied pilots, Jews, passengers to England and - Jewish - persons in hiding). Furthermore, the Limburg agency developed numerous additional activities such as distributing underground newspapers, accumulating and passing on intelligence, repatriating those doing hard labour out of Germany, preparing all sorts of counterfeit documents, getting funds to meet expenses, and establishing and maintaining communications with the camp in Vught and the two prisons in Maastricht. The Limburg agency was responsible for approximately fourteen thousand persons in hiding, spread out over eleven districts of which a few were located in part or entirely in the provinces of North-Brabant and Gelderland. For a long time there were no catastrophes, but in June 1944 the agency received a sharp blow when nearly all the leading members in Weert were picked up by the Sicherheitsdienst. A month later a large part of the district leadership in Gulpen met with the same fate. Elsewhere too, members were lost as a result of infiltration, betrayal, carelessness or purely by chance, but each time vacant places were soon filled again. The rather isolated development of the Catholic-humanitarian resistance turned out to have a disadvantage that no one had reckoned with in advance. By consistently ignoring the importance of a line of communication with the London government agencies at home, and thus by neglecting to inform the government about the nature and size of the organized resistance, damage was done unwittingly. In London, it was impossible to form a clear picture of the contribution to the resistance by the Catholic part of the nation. Worse, the picture that unfolded was distorted, because some of the passengers to England, apart from the question whether they did so intentionally or not, declared to know nothing of the resistance in the Catholic South or never to have heard of it. Thus the way was paved for the persistent myth that the Dutch Catholic community had not measured up when it came to resisting the Germans. Until late in 1943, there were virtually no activities by commando groups. This may be explained by pointing out three reasons. The Limburg agency had so many contacts with civil servants at town halls and food offices that raids to acquire coupons, identity cards, and other documents were not given top priority. Many refugees were hiding out in rural areas, where the quantity of food that remained outside of the coupon system was usually sufficient. Secondly, the Catholic-humanitarian resistance operated at its best under quiet circumstances. Offensive or aggressive underground activities such as raids, liquidations, and sabotage would only attract attention where attention was unwelcome. In this regard, both clergy and lay persons insisted on restraint and control. Nonviolent resistance could lean on the sympathy of the population; it was more in keeping with the Limburg mentality. Initially Limburg had four commando groups that had evolved spontaneously, respectively in Roermond, Helden, Sittard, and Heerlen, of which the three latter ones were the most important. Together they were comprised of a few dozen members. Their high-handed and incoherent way of taking action came increasingly to be criticized, among others by the secretary to the Bishop of Roermond, J.L. Moonen. Reorganization and Professionalization implied the necessity to relinquish a part of their independence and this soon turned out to be incompatible with the spirit of the commando groups and to meet with difficulties. Early in 1944 the Sittard commando group even turned its back on the restructuring conferences and the Roermond commando group shifted its field of activity to North-Holland. Only after the arrest of the provincial leadership of the Limburg agency for aid to persons in hiding in June 1944 did the reorganization process gain ground. One coordinating commando group was set up for North-Limburg and another one for South-Limburg, headed by a provincial commando leader. On orders from the national commando leadership the two Limburg commando groups were transformed in the summer into sabotage groups with the aim to support the allied advance by practising (railway)sabotage. Supported by civilians and members of the Board of Resistance (the “R.V.V.”) they succeeded in the first few weeks in throwing a little disorder into the German transportation system. Soon after that followed the liberation of the South of the province. Because of a shortage of weapons the commando group of North-Limburg proceeded in September to ambush and disarm German soldiers. The commando’s subsequently withdrew with their prisoners of war into the woods in the vicinity of Baarlo and Helde. They were a mixed company: in addition to members of the commando group of North-Limburg the group was comprised of volunteers, members of the Militia (“Ordedienst” or “O.D.”, responsible for maintaining public order) and members of the commando groups from Schijndel and the country between Meuse and Waal, who had joined the ones in Limburg in September. After the allied advance had come to a standstill the group soon got into difficulties, but the problems were faced up to with success. On November the 19th 1944 British troups arrived at the encampment in the woods. Immediately after the liberation commando’s who wished to were admitted into the newly established Regiment Stoottroepen Prins Bernhard ("storm troops"), a division of the Domestic Forces in the Netherlands. In March 1945 they crossed the Rhine with the American 9th batallion to continue the fighting on German territory. In the late spring of 1945 most of them returned home. Of a total of approximately one thousand three hundred underground newspapers that appeared during the occupation years, only thirty and forty were of Limburg origin. Most of the Limburg underground newspapers - their combined circulation did not exceed 20,000 issues - appeared in the first years of the occupation and in its final stages. In the last half year of the occupation the allied advance, the quick succession of events, and the approaching front required up-to-the-minute reports. Like the Catholic-humanitarian resistance, which was based on unity and harmony, the Limburg, as opposed to the national underground press, was apolitical in character. The reason why in spite of this only a few regional or local papers were published may probably be accounted for by the booming development of the national underground press in 1942 and 1943. The underground paper was a scarce and cherished product; its religious or political persuasion apparantly was not what really mattered. However, some of the representatives of the resistance were concerned for a political manipulation of the reading public. Their concern turned out to be unfounded in practice. War and occupation did not bring about any remarkable swing in the field of political forces; in Limburg at least there was no sign of it. The Limburg Militia (“O.D.”) was a reflection of the national Militia, the gist of which is that the organization was getting prepared to maintain peace and order during and particularly after the retreat of the occupying forces. In spite of all the preparations the Militia, developed as it was along military lines, was granted only a modest part to play in the period of liberation. For many of its members, this resulted in great disappointment. Because the liberation of Limburg was initiated as early as in September 1944 there was no time left to preserve the Militia from an inglorious downfall. In the district of Maastricht, which was the first to be liberated, the actions taken by the organization ended in failure. Several competing groups, who all set themselves up as the only representatives of the national organization, disputed each other’s authority while the maintainance of peace and order in fact devolved upon the Military Rule imposed by the Dutch government. In the months following the liberation many Militiamen found a place with the Guards of the Domestic Forces, who, on account of their less romantic duties and their poor equipment, were looked upon as a stepbrother of the Storm troops who were provided with equipment by the Americans. National underground movements whose aims were at odds with the (apolitical) nature and methods of the Catholic-humanitarian resistance, were predestined to play a marginal part. This was also true for organizations that failed to make contact with existing groups or networks. Both the Board of Resistance, the communists, and some of the intelligence services encountered this drawback. The Board of Resistance, a national organization imported into South-Limburg early in 1944 with a rigid, central management and an offensive, aggressive objective, did not fit in very well with the Catholic-humanitarian resistance, but succeeded nevertheless in recruiting a relatively large number of Militiamen who wanted to do more than just wait for liberation day. The cooperation with the commando group from Heerlen/South-Limburg did not proceed very smoothly in spite of the fact that some operations were planned and carried out jointly. The Board of Resistance was criticized repeatedly. Thus it was thrown into the organization’s teeth that it was taking foolhardy action and that it left unused sabotage equipment dropped by the allies. Even before the war the Limburg communists found themselves in a position of social isolation, but during the occupation years they seemed to be a little more popular. Communists active in the underground party structure aimed for cooperation with any underground group willing to do the same. Apart from the fact that this cooperation hardly came off the ground, the Limburg communists did have a different attitude, or rather, they anticipated on the national party line. What the politically-ideologically inspired underground struggle concentrated on, in addition to sabotage and aid to persons in hiding, was publishing and distributing papers and pamphlets through the underground networks. Particularly in the mining district, where they had their best representation in numbers, the communists gained prestige by their stubborn, tenacious resistance, their high human sacrifice, and their plea for a future united trade union. However, it did not come to a permanent breakthrough in their isolation. Support by and contact with existing underground networks or groups was indispensible for the intelligence services. Organizations that did not acknowledge this fact or acknowledged it insufficiently, like the Secret Service in the Netherlands and the “Pietab-OXO” group, were to play a minor part, while for example the “Albrecht”-group, which in North- and Mid-Limburg had joined forces with the local resistance, operated with remarkable efficiency. Good results were also achieved by intelligence services that had evolved out of existing underground organizations. The intelligence services of both the Militia and the Limburg agency for aid to persons in hiding supplied the resistance and the allies with valuable information. How should the resistance in Limburg, and its Catholic-humanitarian main constituent, be regarded when viewed from a national perspective? Notwithstanding the largely independent development that Limburg presented, many relief organizations in the country were for the transfer of their refugees dependent on the networks in Limburg, which had been set up proceeding from this province or were linked to others in Belgium, France, and even Germany, and ended in Switzerland or Spain. Refugees making their way individually, passengers to England, various intelligence services, and other national underground organizations also made use of them. The province not only served as a transit area for refugees, refugees could also be served here. Limburg offered space and there were several relief agencies that made use of this space with increasing frequency. Religion was not a decisive factor in all this. The significance and impact of Limburg on a national level was, in other words, particularly evident in the field in which the provincial development was most advanced, e.g. nonviolent humanitarian resistance and corresponding methods and communications. This is what constitutes both the intrinsic force and the specific value of the resistance in Limburg.